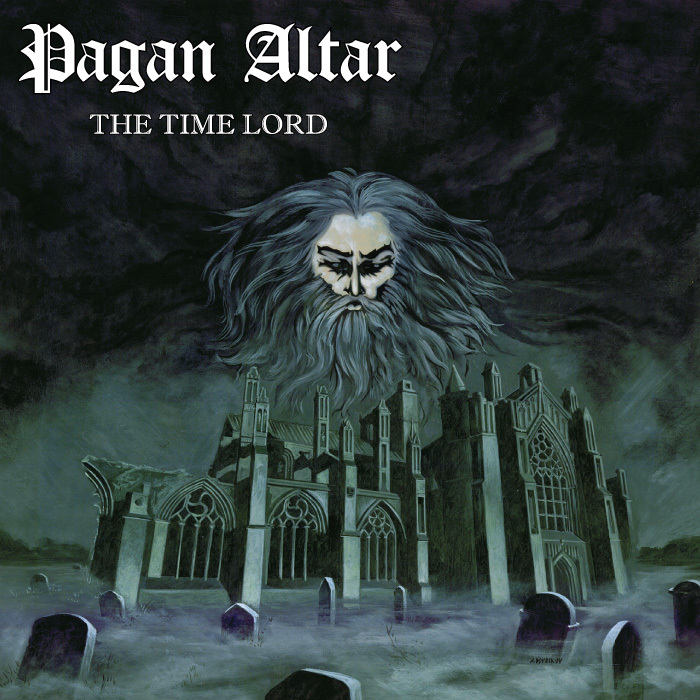 Shadow Kingdom Records has re-released The Time Lord, a long-out-of-print EP by NWOBHM stalwarts Pagan Altar. This is a collection of old demo recordings — some dating back to the band’s beginnings in the late 70s. Considering the fact that the five songs here were not intended to be officially released, the sound quality is pretty decent -- in this remastered version, I'd say The Time Lord could stand alongside records of many of the band's contemporaries without suffering from the comparison. These songs definitely represent the band's niche in metal history, spanning from the hard rock "proto-metal" years through the inception of doom metal and beyond. Shades of early British metal influences such as Deep Purple are very prevalent here, especially on the first couple songs, but Pagan Altar also incorporate some sounds traditionally associated with American southern hard rock -- in particular, the title track seems to recall some of the long-form guitar jams of Molly Hatchet or the Allman Brothers Band. With "Judgement of the Dead" and subsequent tracks, the band really seem to have found their voice in the early doom metal style -- full of Sabbath-esque riffing, along the lines of the kind of stuff Pentagram were doing at the time. The Time Lord offers a fascinating snapshot into the history of a band that has been wrongfully overlooked for far too long, as well as encapsulating the evolution of the NWOBHM into doom metal. Fans of these styles will definitely want to pick up a copy, and be sure to keep an eye on Shadow Kingdom too, as I've heard whispers that there might be reissues or repressings of other Pagan Altar material on the horizon as well!